A flexible adhesive specially designed to accommodate natural movement in wood flooring over its lifetime. 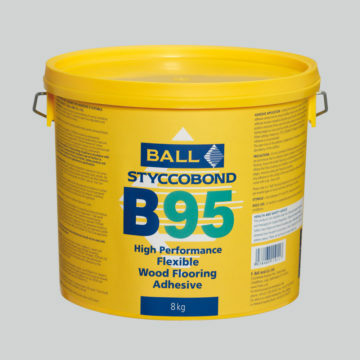 A high performance single component wood adhesive which is both environmentally friendly and user friendly. Solvent free and non-flammable, it is quick setting and develops a high final bond strength. It is protected against biodegradation and can be used over normal underfloor heating installations.